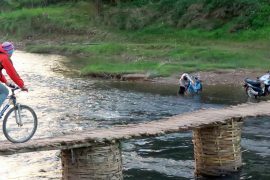 This three-day Lao forest tribe trek will provide you with an opportunity to experience Northern Lao tribal culture and lifestyle. 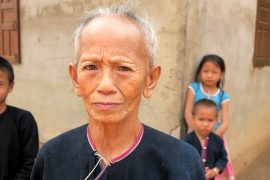 You will spend two nights with minority groups in their villages doing a homestay with a local family. 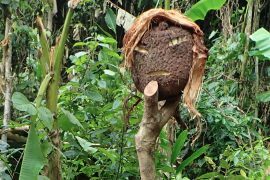 This Lao jungle trek is a moderate trek in the secondary forest and primary forest inside the Namha National Protected Area where you will enjoy big old trees, many varieties of plants and you will have a chance to see some wildlife. 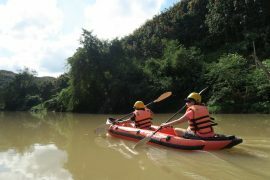 You will also see stunning mountain views, swim in the tranquil Namha river and enjoy local foods. What to bring Rucksuck, Hiking boots, Hat, Sun-cream, Mosquito spray, Torch, Clothes/shoes to get wet, Warm clothes, Change of clothes, Pocket money, Raincoat (Wet season), Toilet paper or tissues. What is included Water, Meals, English speaking guide, Local guide/s, Transport as mentioned above, Accommodation, Government taxes, All entrance fees, Travel permits. You will start your Lao Forest Tribe Trek with a half an hour transfer from town to the village, where you will meet our village guide who will accompany us on the tour. We start from there with a gradual hike along the valley, where local people established their rice fields and farms. This is a great opportunity to learn about how they plant the rice and other crops in the area. Then we hike steeply up to the top of a mountain where you can see beautiful views of the rice fields and villages. Next, we walk along the ridge-line of the mountain to the village of the Lantan tribe, the tribe that derived from the south of China (Yunan region) a few hundred years ago. We will spend the night with a local family. The guide and the host family will cook traditional Lanten food dinner. Wake up early to the sounds of village life. After having breakfast we begin walking on a path that climbs up the mountain along the rice fields of the locals. We will walk deep in the forest before going down to Namkoy village on the Namha river. We will spend some time in the village chatting with the locals about how they live. 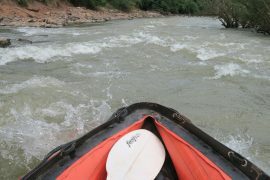 Next, we will walk along the river to the neighbouring village Nalantai of the Khmu tribe for a short visit. 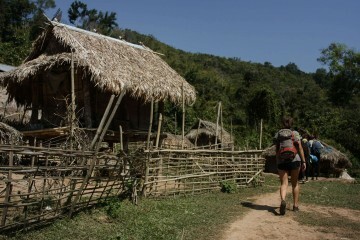 Then we walk along the river further up to another Khmu village, Nalan Neua located on the riverbank. There we will have two options, we can either do a homestay with a host family or we can do lodging in our eco-lodge where the local people will serve us dinner by the campfire. After waking up you will be offered a cup of herbal tea or coffee and breakfast provided by villagers. You will have an opportunity to walk around the village observing the kids preparing for school, which is in the village. 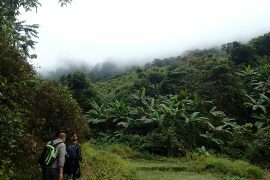 After that, we will start walking to the lowland rice fields and continue walking until we reach the streams which we have to cross, so be prepared to get your feet wet!!! Today’s paths are wild so you will have a chance to see huge old trees before we will climb the last mountain. Finally, you will walk along the ridge-line, before ascending down the last part of the trek which will end up at DoiLakkham Village. Here you will be transferred by van back to Luang Namtha, about one hour drive.